I guess I'm having a hard time believing that a bull would have these cognitions and it sounds more like human thoughts. You'd be amazed by the wisdom animals impart when you communicate with them. All communications of animals’ thoughts and feelings are translated into human words to the best accuracy that the communicator (myself in this case) can give. If you read more of my work and that of other animal communicators and open to animals’ communication yourself, you may learn a lot beyond human preconceptions of how animals think. Thanks for reading. I remember many times when I did consultations or gave lectures where people were astonished, amazed, astounded, moved, and forever changed by the communications of their animal friends and other animals, domestic or wild. They not only resonated with the views the animals presented but were blown away and convinced time and again by how animals demonstrated understanding of human thoughts, feelings, and communications. People were then able to shift out of their socially programmed preconceptions, opening to see more of animals’ true nature. They could then more fully experience, communicate, respect, and walk with animals as fellow beings. My publications give a myriad of examples of animal intelligence and awareness that confounds conventional human thinking. 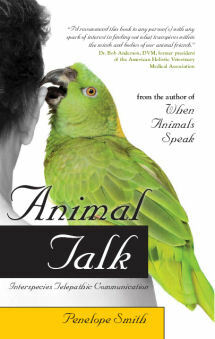 (See Animal Talk, Chapter 4 “Showing That They Understand” and the “Animal Intelligence and Awareness” CD in the Animal Communication Mastery Series.) There are also the profound communications students of animal communication get from insects, microbes, plants, rocks, rivers, places, and even so-called inanimate objects, such as dolls or machines. The last chapter of Animal Talk goes into the “Human Superiority Complex” that still seems prevalent as a way of ranking life on Earth from higher to lower forms. 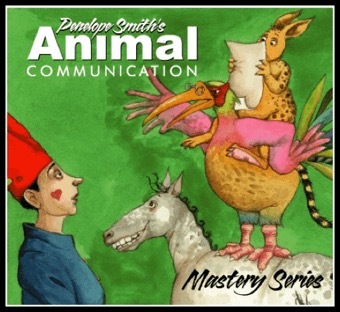 In Chapter 8 of When Animals Speak, I mention how awareness of the nature of life, the universe, and other dimensions seems to increase as you move from humans to animals to plants to rocks…. Humans may be the most mobile species, capable of rearranging forms and energies in the physical universe. Of the animal, plant, and mineral kingdoms, the minerals or rocks are the most grounded in magnetic, earthly energy and, at the same time, expanded in cosmic consciousness. In most instances, I have found that the more solid or still the form is, the greater the sense of timelessness and union with all life throughout the universe. For example, elephants exhibit that quality more than humans, and mountains embody that quality more than trees. This is why we can feel so rooted yet expanded in their presence. Rocks have relayed to me a constant connection not only with the Earth, but with all the planets in the galaxy and beyond. Humans have used the mineral kingdom to help connect with space, energies, and the stars, through use in radios, telescopes, and radar. In direct communication with rocks, I have felt myself whirling among the stars and in touch with far galaxies. The link is powerful and immediate. It appears that mineral forms have the broadest awareness of the cosmos. The view gets narrower going from plants to animals and, finally, humans. For physical survival, humans are also the most dependent on all the others. Without the contribution of the mineral kingdom, all the rest could not exist. There are symbiotic relationships among all life forms, and the elements of earth, air, fire, and water enrich all the kingdoms. This is opposite to most human thinking of humans being at the apex of creation and the rest of the natural world as increasingly less important. Everything is alive. Everything communicates and is made of the same “stuff,” energy, or wave motion. Everything is infused with spirit or life and is conscious. If you communicate with one cell or one molecule in your body or any body, you may find an awareness of the intricacy of interconnection and union of all life that most humans have barely touched upon. The awareness of who we are and the nature of the universe is often forgotten by humans while it is retained by all other species and forms of life. Humans can get lost in the constantly recirculating thoughts that distract from dwelling in the peace of the center of being within all. I remember a woman who followed me around in a field of cows and kept asking as we approached each one, “What is she thinking?” My answer was “nothing” and “nothing” and “nothing.” Each cow dwelled in the fulfillment of being alive and being who she was as a particular animal enjoying her physical and spiritual nature combined in harmony. The cows, like other animals besides humans, were not bombarded by thought intrusions and a cascade of associations from thought to thought as humans often are. They were being and loving life as it was for them, sensing and dwelling in the lusciousness of its all. 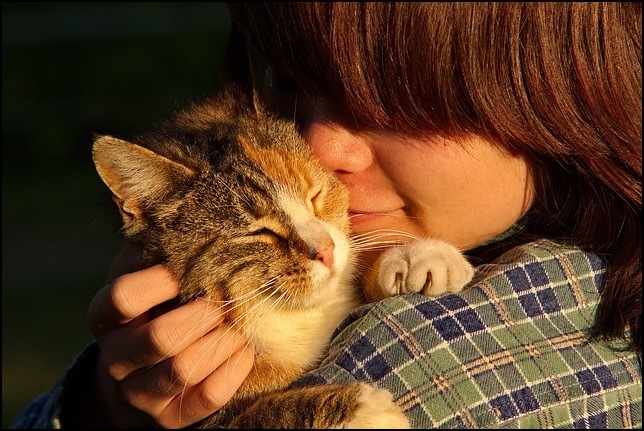 This is one of the great teachings and benefits of being with animals. Animals and all the other life forms help humans to get out of their heads and into feeling and enjoying life within and all around them. When you ask animals questions about their views of life, they answer with their thoughts and feelings. They don’t then question or recirculate their thoughts or uncontrollably free associate as we humans often do. Humans struggle to get beyond the distractions of their mental programming and stimuli to experience greater truths and states of being that bring peace and equanimity. Most of our animal associates on Earth demonstrate how to do this. What a blessing!